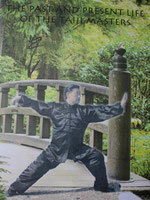 Chen Style is one of the most profound and subtiule forms of Taijiquan and even the oldest. This form combines movements from the two main varieties of the Chen Style longform, but is much easier to learn. This video works like a learning tool. 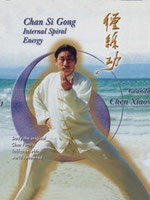 Grandmaster Chen helps you to deepen and refine your practise at best. The DVD's quality and sound might be weak. Please consider before ordering that we cannot provide better quality as this is the only version we have. This is a routine based on the Chen families Laojia and Xinjia. It moves from the gentle to the powerful, containing both slow and fast actions. This video demonstrates in high, middle and low stances for each student to choose the one appropriate the moment. 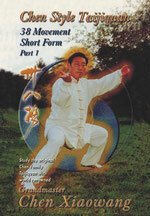 This is the older of the two main long forms of the Chen Style Taijiquan. The form is divided into four sections. Each movement is shown separately from front, back, left and right. Then each section is shown as a unite. 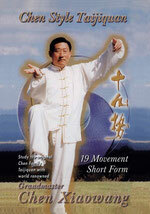 Herewith Grandmaster Chen helps you to deepen and refine your practise by examining and copying the movements. This unique and beautiful routine applies the principles of Chan Si Gong and is effective for actual fighting. It can be divided into 4 sections amounting to 70 movements. This video is designed to be a learning tool, to help you easily examine and copy the movements. 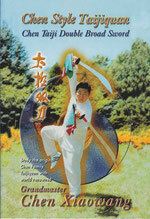 Taiji Double Broad sword with its graceful movement will clarify your weapon form skill. It may be performed quickly and slowly. It can be divided into four sections amounting to 35 movements. This video is designed to be a learning tool to help you easily examine and copy the movements. 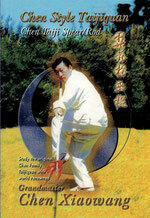 The Dadao weapon form was practiced by Chen Wangting, the originator of Taijiquan. The form is known as intrepid, powerful, rich and effective. The 30 movements are divided into four sections and shown from the front, back, left and right - quick and in slow motion. This video is a learning tool to help you easily learning the Dadao form. Chan Si Gong is divided in two parts. Part one shows the basic pathway of Qi around the Dantian and part two elaborates the transportation of energy through the body. 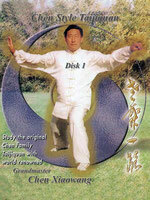 Every movement is very clearly demonstrated by master Chen by guiding your Qi from Dantian back to your centre. It is simple and easy to learn through repeated practise of its gentle spiral movements. The documentary provides very useful background information to deepen your understanding of Taiji. You will get to know the origins and routes of Taijiquan, the history of Yang Luchan, the Chen family and Chen Jiagou, the transmission of Taijiquan around the world and much more.